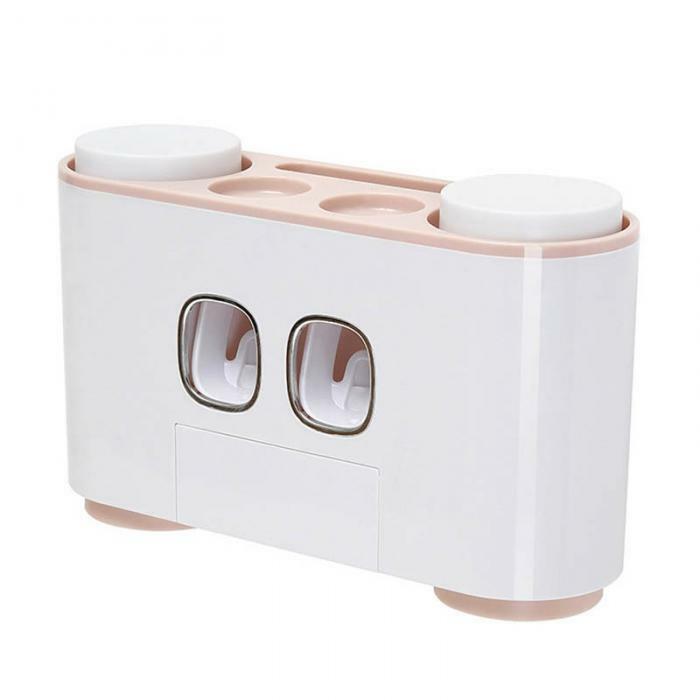 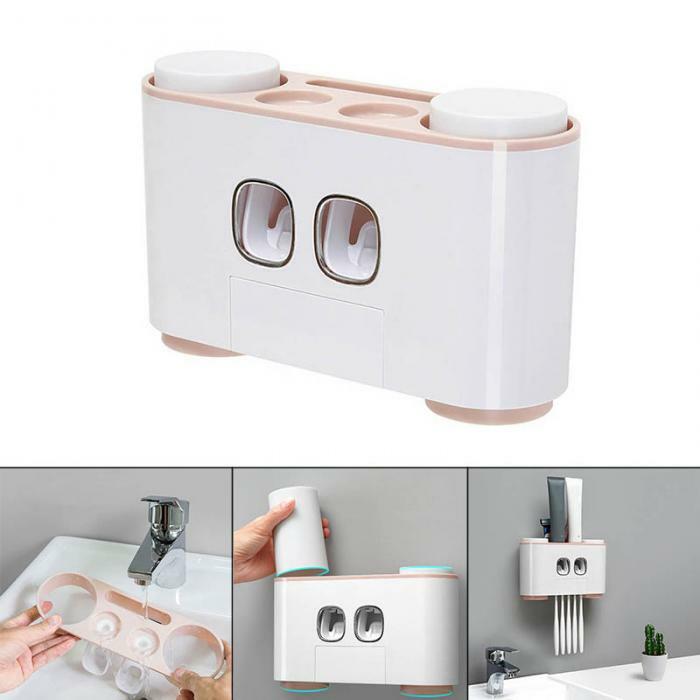 Suitable for: Toothpaste dispenser for up to 5 adults and children, with a toothbrush holder and tooth cup, suitable for bathroom use. 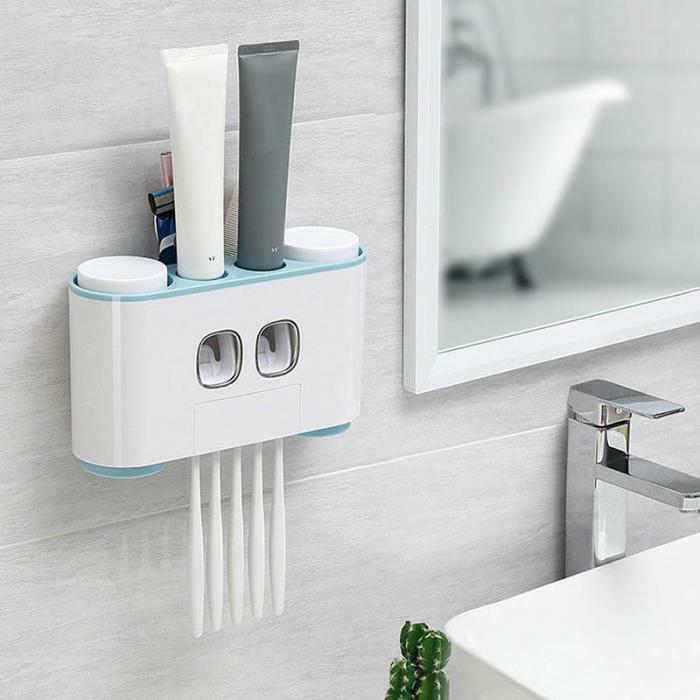 Clean and Hygienic: The flip-top hanging toothbrush can prevent dust from falling on the toothbrush and is not easy to fall, and the toothpaste is also protected. 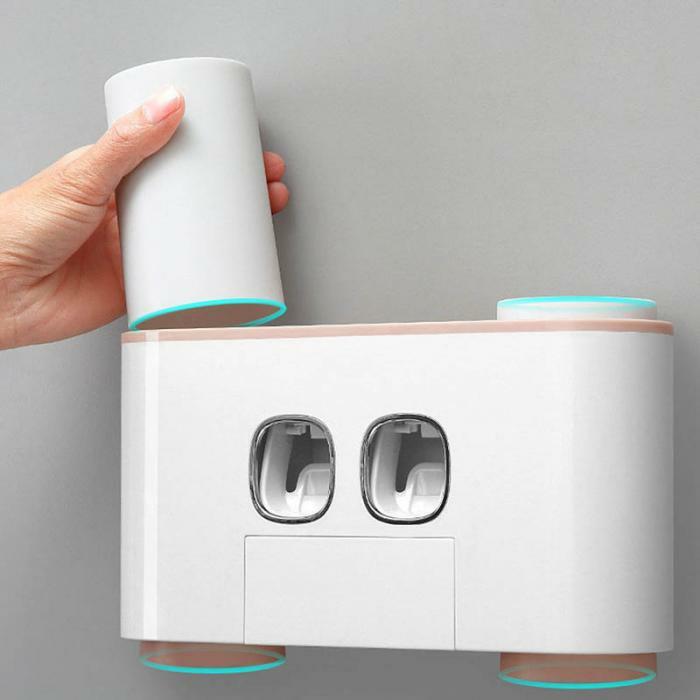 Automatic Dispensing: The dispenser squeezes the perfect amount each time, preventing waste of toothpaste and automatically assigning toothpaste to you. 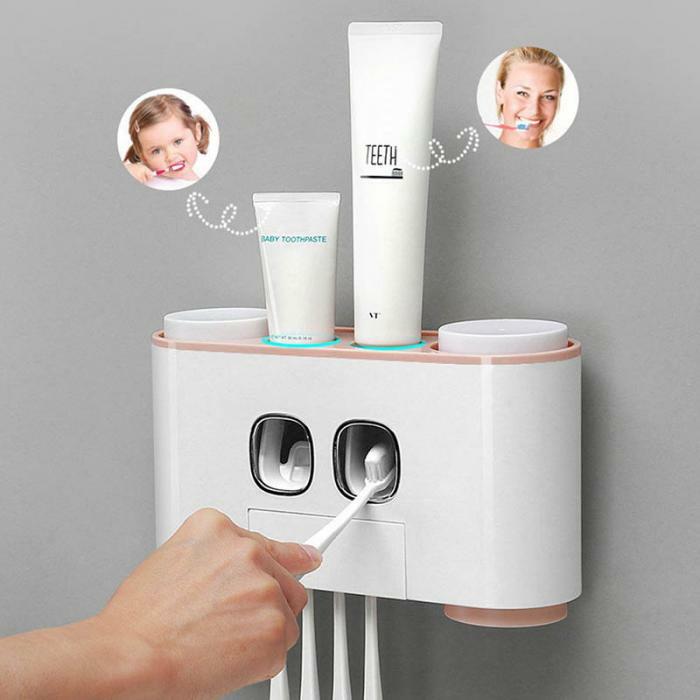 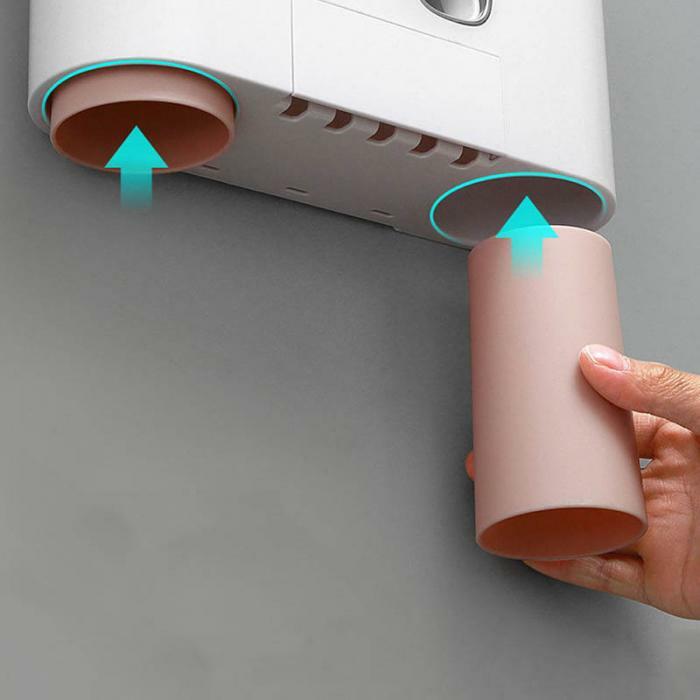 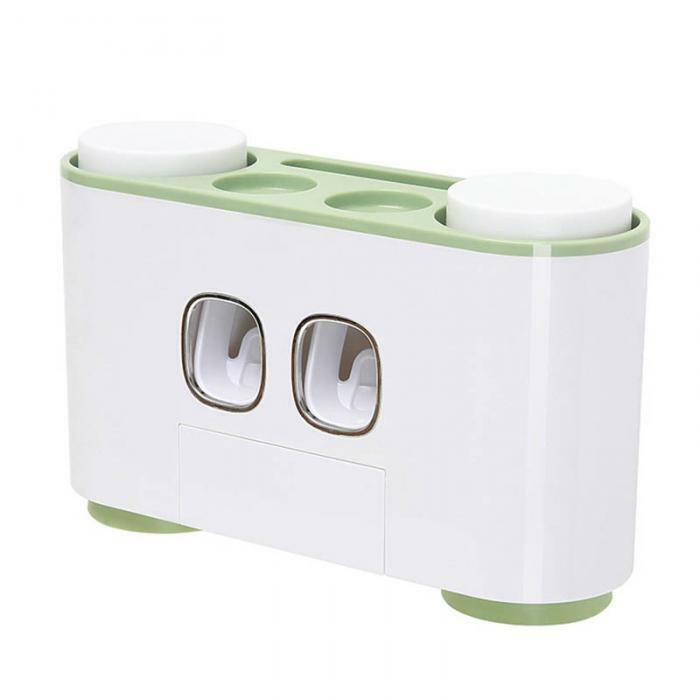 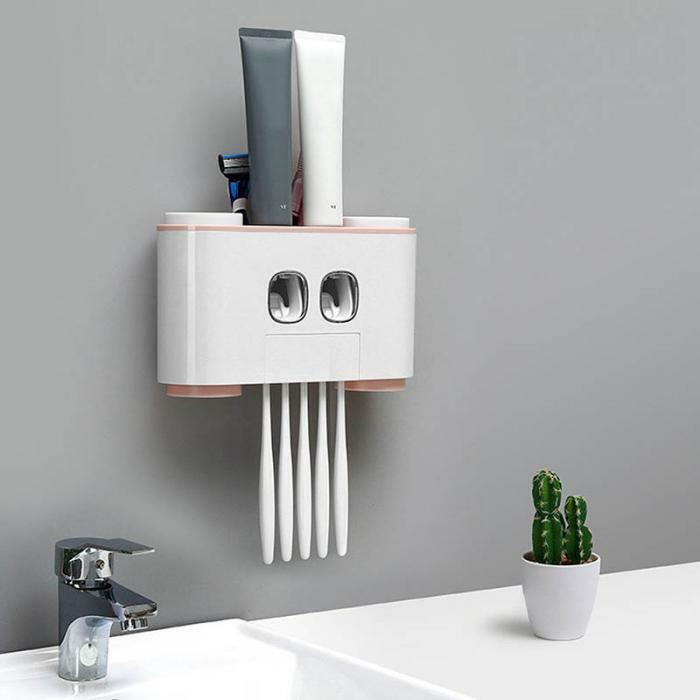 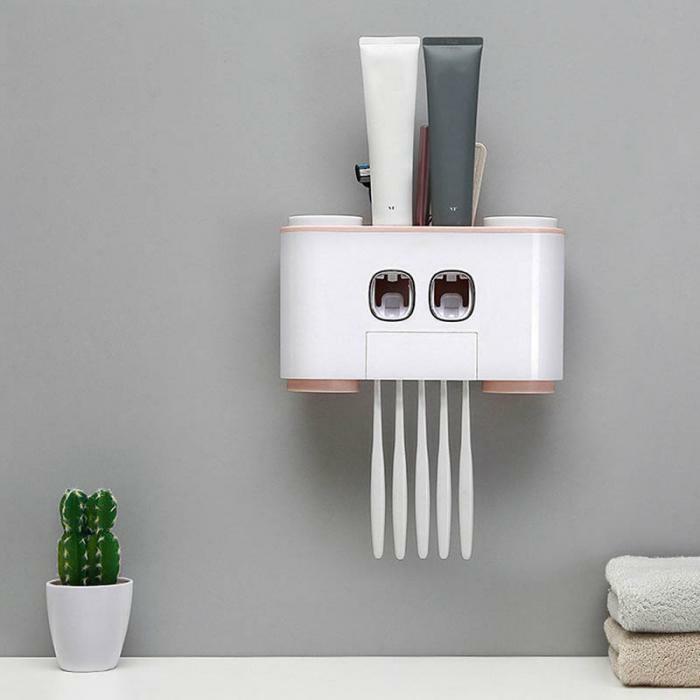 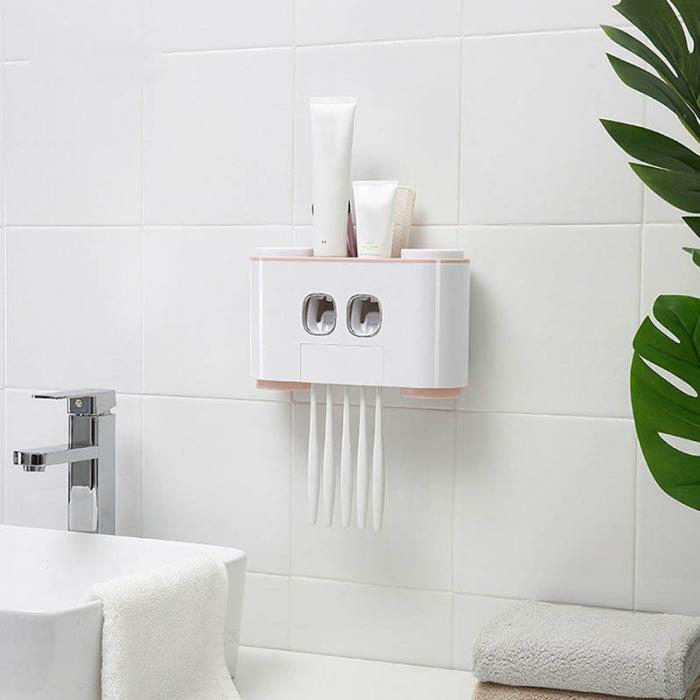 Super Suction: The powerful suction cup allows the automatic toothbrush dispenser to be connected to the wall for a long time, and the toothpaste and tooth cup can be placed on the toothbrush dispenser. 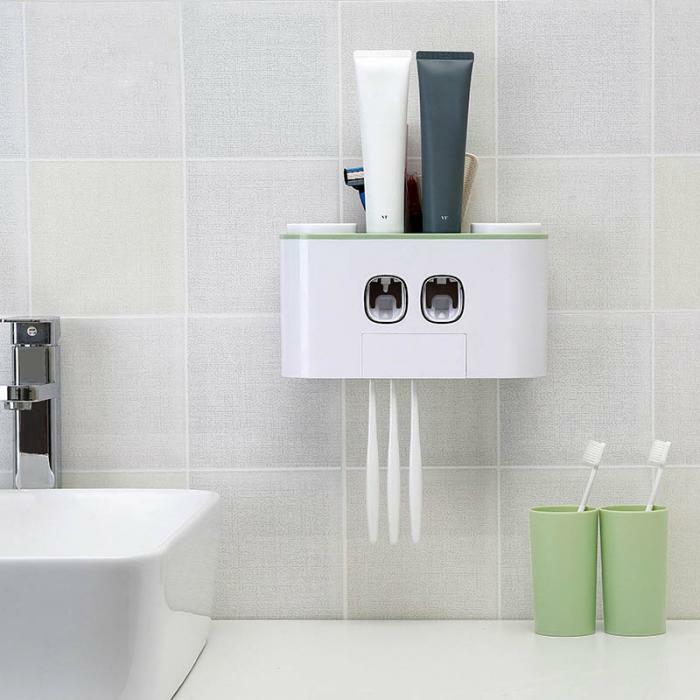 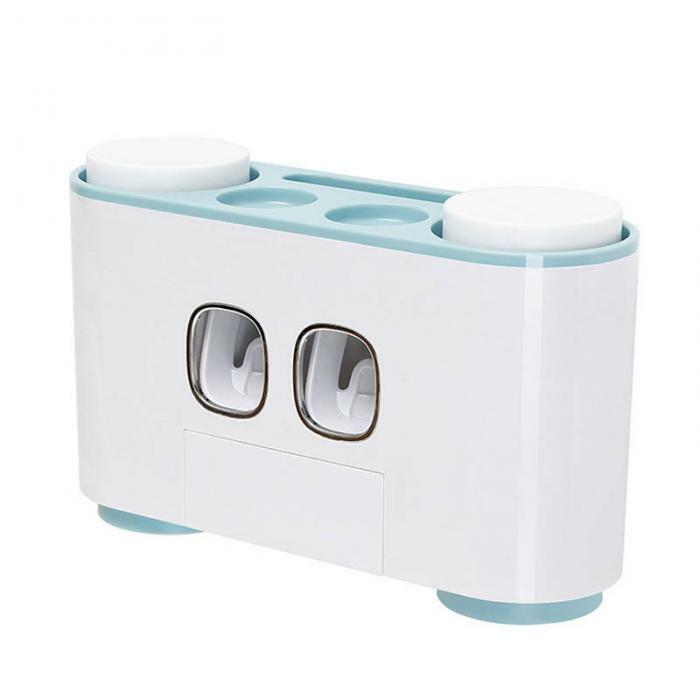 Easy to Clean: Removable, easy to clean: easy to dispense toothpaste, easy to disassemble and clean, no tidy or contaminated after long-term use, multi-size toothbrush holder can be used for up to 5 people at the same time. 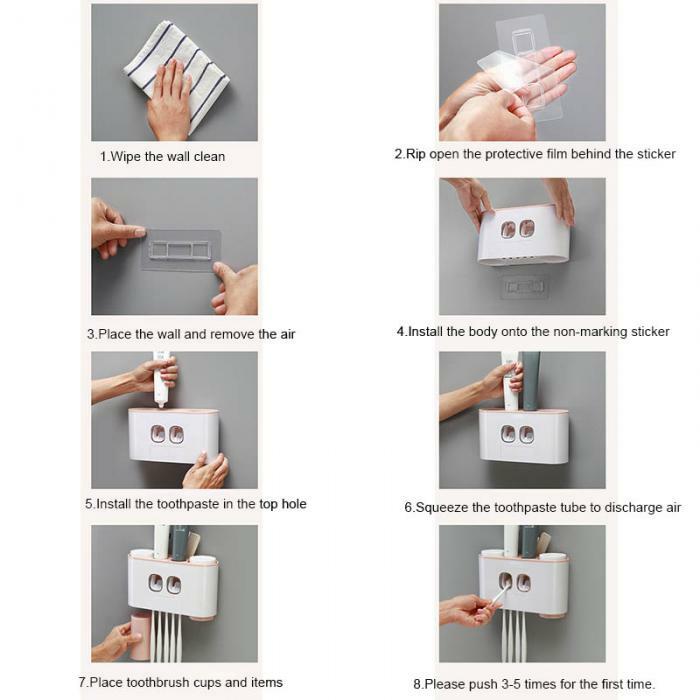 Main material: ABS + PP.